Welcome to the Building Information Center, how may I help you? For information on Malls, check the Mall Information Center. For a map of Mall statuses, check the Mall Status Map. For information on NecroTech Buildings, check the Necrotech Information Center. For a map of NecroTech statuses, check the NT Status Map. 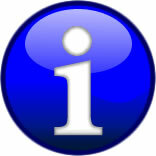 For information on Hospitals, check the Hospital Information Center. For a map of Hospital statuses, check the Hospital Status Map. For a map of Fort, Mall & NecroTech statuses all in one, check the Strategic Buildings Status Map. For information on Mobile Phone Mast Buildings, check the Mobile-Phone Mast Information Center. For a map of Mobile Phone Mast Building statuses, check the MPM Status Map. For information on the current Mobile Phone Network Coverage, check the Mobile Phone Mast page. For information on the various large buildings in Malton, check the Big Building Information Center. There are three complexes in Malton. The two forts and the City Zoo. They're officially trying to get in. Their numbers are increasing, but we are on it. "... Fort Perryn has fallen - repeat, Fort Perryn has fallen ..."
Category:Suburb Danger Levels for buildings sorted by their suburb. For information on buildings within a particular suburb, visit the appropriate Information Center below. For information on buildings within player defined zones, visit the appropriate Information Center below. Enter the location's name into the search bar on the wiki and search for it. If the building is important enough, there will be a danger report at the top. Click 'update' in the top right of the report. Edit the page, as you would any other. Change the status, add a comment and sign it. safe Intact and barricaded. No noticeable zombie or PKer presence. under attack Persistent attacks from zombies or PKers, but the building is in no immediate danger. under siege Survivor defenders are under siege from coordinated and/or large-scale attacks by zombies or PKers. ruined The building is ruined or ransacked. pinata The building is ruined and barricaded to the point that it cannot be entered. unknown The building's status is currently unknown. This page was last modified on 8 August 2013, at 05:20. This page has been accessed 77,575 times.